This weekend saw the release of the new adidas star wars collection? The teaser ad has a cool slick party vibe, ala adidas’ house party, with of course the obligatory David Beckham shot. Sneaker fans are invited to visit the adidas facebook page to find out release info etc, etc, yawn. Again I’ve been slow on uptake on this but when I saw it the other day it made me laugh and so I’d thought I’d share with you all. Now go and make me a cuppa tea. Everybody needs to start the day with a good breakfast even the dark side. 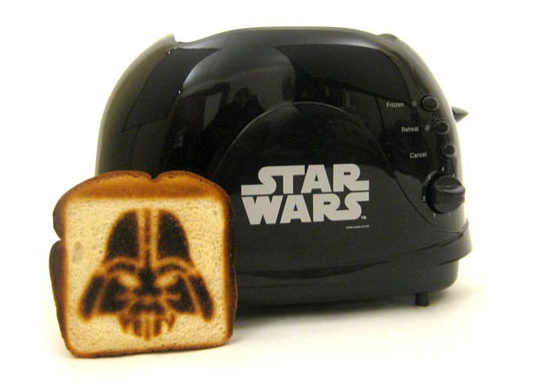 So if you want the force to be with you, oder the Darth Vader toaster from here.